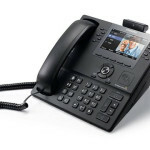 We sell and service most used phone systems on the market. If we do not have it in stock, we are able to get it. Whether you have questions, need service on your old system or you need an inexpensive solution for your office, we have plenty of used systems. We are constantly pulling out used phone systems from customers’ sites when they upgrade to newer, more advanced systems. These used systems are fully functional and come with warranties to make sure you are never left with an inoperable system. Since our inventory changes on a weekly basis, please contact us with your needs and budget and we can tailor something for your business.